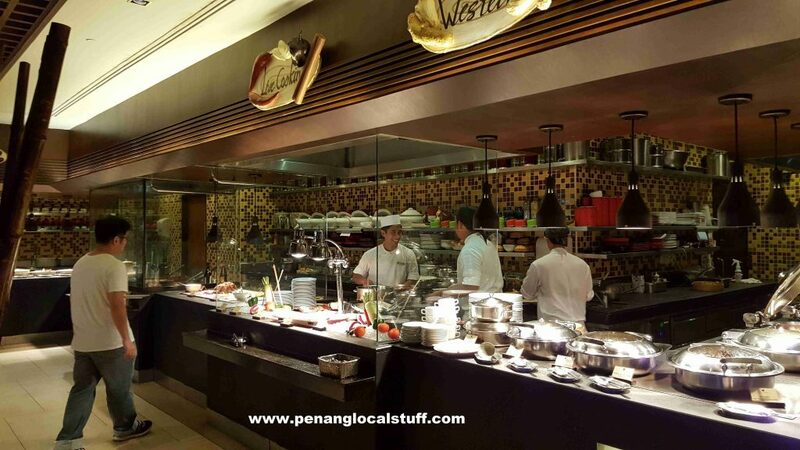 I recently went up to Batu Ferringhi to have a buffet dinner at Shangri-La’s Rasa Sayang Resort & Spa Hotel (on Wednesday, 22 November 2017). 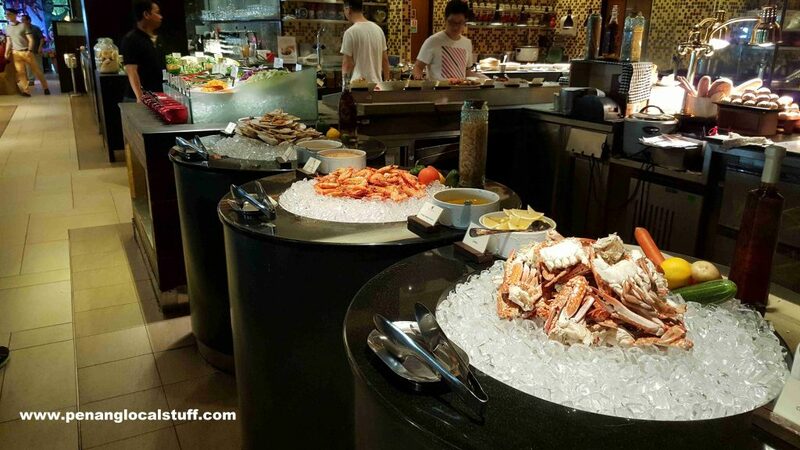 It was the 6-In-1 International Buffet, available at the Spice Market Cafe on Monday-Thursday and Sunday. I was pleasantly surprised that there was a 40% discount on the price. At the time of writing, the discount is given on every Wednesday and Thursday. 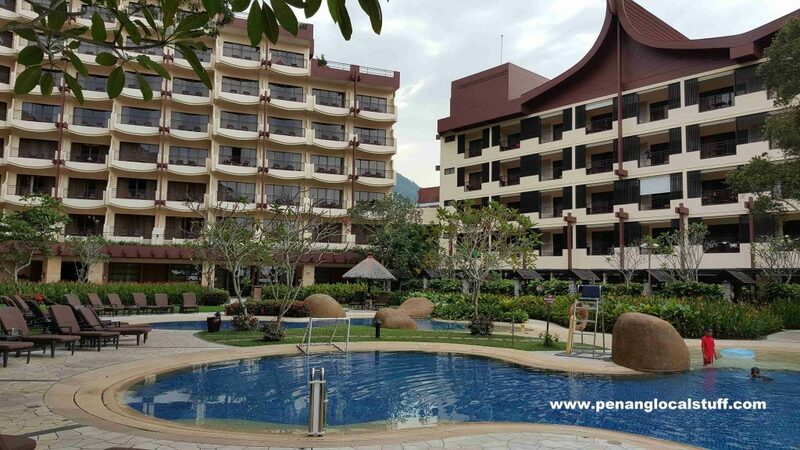 I have always enjoyed going to the Rasa Sayang Hotel in Batu Ferringhi, as it is a high class hotel. 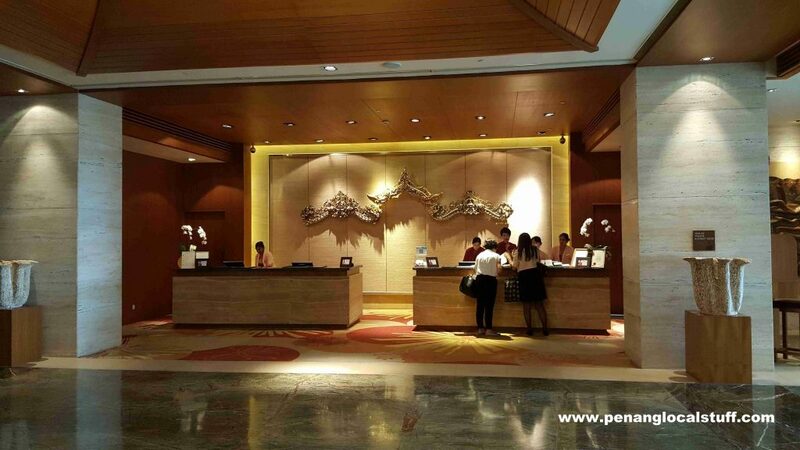 The lobby and surroundings are luxurious and relaxing, and the parking is free. The Spice Market Cafe is located beside the swimming pool and garden area. As we were there before 6.30PM, we had some time to walk around, had beer at the pool-side bar, and enjoy the nice environment outside. 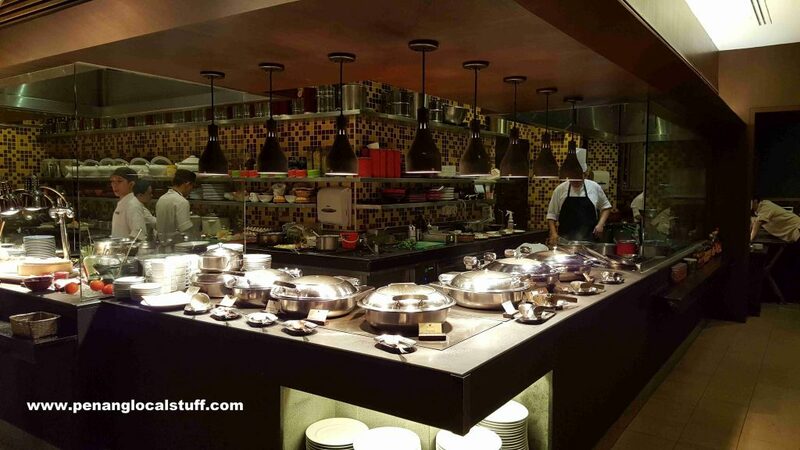 The 6-In-1 International Buffet at Spice Market Cafe starts at 6.30PM. The food variety was excellent. I started my meal with the cold seafood dishes: sashimi, prawns, big scallops, mussels, and flower crabs. The cold seafood dishes were really good, especially the scallops. There was a tandoori station with tandoori chicken and satay, which I enjoyed very much. There were lots of other food selection available, including fish, chicken, duck, vegetables, fried rice, pasta, and many more. There was also a ginseng chicken & fish maw soup, which was excellent. The desserts were nice too, there are cakes, ice cream and “ais kacang” (shaved ice dessert), to name a few. We spent about 2 1/2 hours at the Spice Market Cafe, the last half an hour slowly enjoying coffee and chat. It was a sumptuous meal. 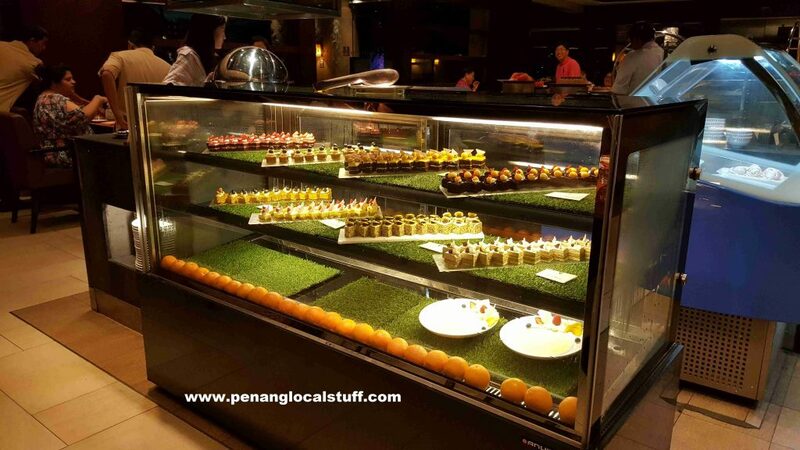 I really enjoyed the 6-In-1 International Buffet Dinner at Rasa Sayang Hotel Batu Ferringhi. You can call +604-888-8788 for reservation.